WOW! Have you see all the great stuff coming out? SOOO much eye candy, I can't even take it! By far, my favorite peek, and the one collection that I must have every. single. piece. is the new American Crafts Dear Lizzy collection....WOW! Just genius! Have you seen that ruffled flower trim??!?!?! 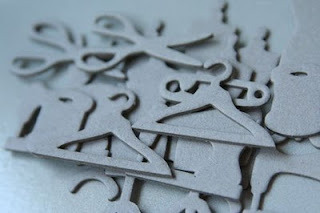 You can find all the seek peeks of the new American Crafts products HERE. 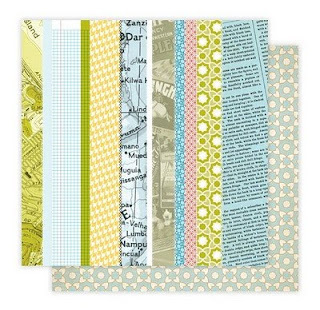 Studio Calico has been a favorite of mine for a while now, I really love their funky/urban/kitch style. The color combo in the new Anthology collection is perfect for spring. I can't wait! You can find images of the full Anthology collection HERE. The borders and banners alone, from the geniuses at Sass.... delicious! Really!! I am so excited to get these in my hands!!! Not to mention that Nerdy Bird is soooo stinkin' cute! You can find images of all the new Sassafras collections HERE. And last, but certainly not least, Maya Road. They never cease to amaze me with their products. 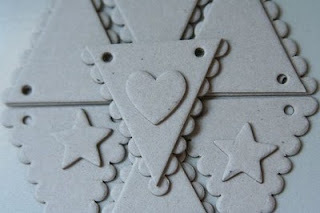 The trims are sooo pretty this year, and the chipboard... Oh the chipboard! 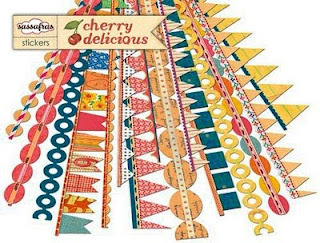 You should note that I will be buying these Mini Sewing and Mini Banner sets up! You can find images of the Maya Road release HERE. So tell us, what are you most excited for this year at CHA Winter 2010? I, too, can not wait to see Dear Lizzy. It looks so dang adorable. Great selections! Have a great time at CHA, and bring us back some yummy news!